How many times can you resurrect a theme park filled with dinosaurs, especially given the number of human casualties each iteration has incurred? 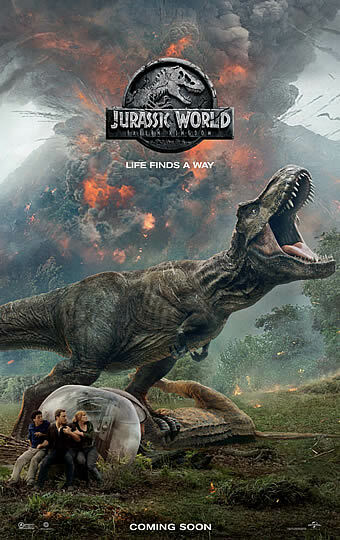 So wisely, this latest instalment of the ‘Jurassic Park’ franchise doesn’t try to revive yet another park; instead, it decisively and definitely bids goodbye to its predecessor’s prehistoric attraction by obliterating it with a jaw-droppingly intense and realistic volcanic eruption. 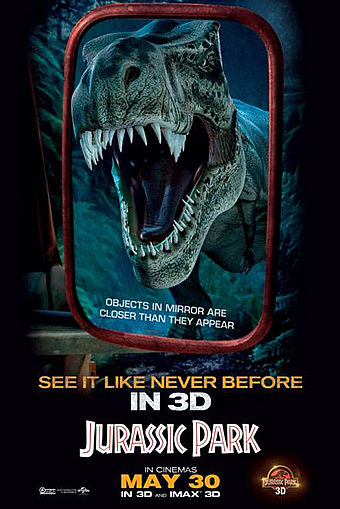 Not to worry though, to paraphrase two of the film’s taglines, “life finds a way” even though “the park is gone”. Returning to pen the sequel’s script with his former writing partner Derek Connolly, ‘Jurassic World’ director Colin Trevorrow boldly choreographs a sequence of events that will see the dinosaurs transported off their isolated little island paradise of Isla Nublar to the mainland, which also sets the stage for an all-out man versus dinosaur showdown in the next chapter to follow. 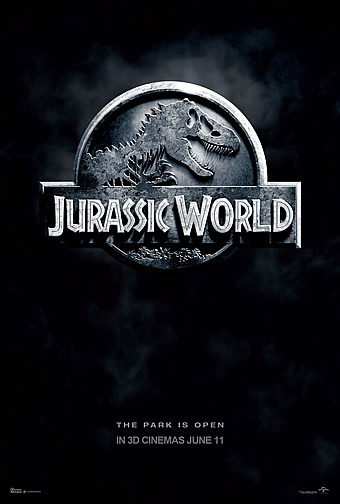 That journey will see park manager-turned-animal activist Claire Dearing (Bryce Dallas Howard) reunite with raptor expert Owen Grady (Chris Pratt), as the couple join an expedition to save the surviving dinosaurs that happens to be the former business partner Benjamin Lockwood (James Cromwell).of the original ‘Jurassic Park’s’ misguided entrepreneur John Hammond. Not surprisingly, that expedition is but a façade for a more sinister business venture involving Lockwood’s right-hand man Eli Mills (Rafe Spall) and geneticist Dr. Henry Wu (B.D. Wong), precipitating a series of things-gone-awry that will result in the animals being unleashed on civilisation at large. Although most of the action is pretty much contained in one of two locations, namely Isla Nublar and Lockwood’s sprawling gothic mansion, there is plenty of creative space between them for director J.A. Bayona to pull off some genuinely white-knuckle edge-of-your-seat set pieces. Oh yes, more than the plotting per se, the ‘Jurassic Park’ movies were always about the scenes of tightly-wound tension, and we dare say Bayona not only equals Spielberg’s flair for such roller-coaster thrills, he even manages to top the first two movies from the latter. The pre-opening is in itself demonstration of that – two pilots in an underwater pod in the cordoned-off seas around Isla Nublar run into the park’s Mosasaurus, while his counterparts on land are greeted by a T-rex. That is only but warm-up for the film’s piece de resistance, which sees a thunderous stampede down the slopes of the volcano as it blows up, threatening to crush Owen, Claire and her scaredy-cat tech nerd colleague Franklin (Justice Smith). Having depicted the horrifying 2004 Indian Ocean tsunami in his ‘The Impossible’, Bayona exercises the same disaster-movie sensibilities here, crafting a breath-taking sequence of genuine visual awe. It would have been difficult to top that, and wisely enough Bayona never tries; rather, he moves to a more confined playground, opting for intimate scenes of well-tuned dread and suspense. Within the tight corridors and stony basement of Lockwood’s residence, Bayona plays to his strengths in his previous horror films ‘The Orphanage’ and ‘A Monster Calls’, unleashing the new genetically engineered Indoraptor on his lead couple and Lockwood’s bright young granddaughter Maisie (newcomer Isabella Sermon). There are plenty of nail-biting moments here, some of which like the tap-tap-tapping claw are in deliberate homage to Spielberg, while others like the romp through Lockwood’s private national history gallery of bones are bound to be classic. 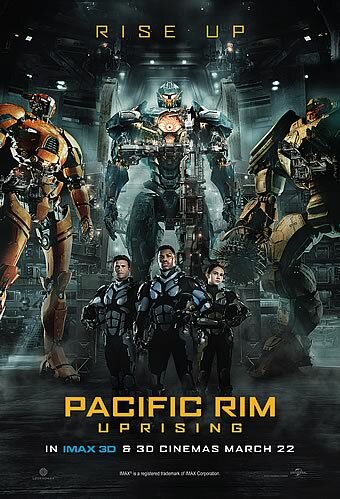 To be sure, this second half is on a much smaller scale than most audiences would expect the action in a ‘Jurassic Park’ movie to be, but equally it is precisely this change in tone, character and atmosphere that makes this entry more refreshing, engaging and stimulating than the other sequels. Just as uncharacteristic is its intellectual musings about conservation and evolution. Now that mankind has brought the dinosaurs back to life from the dead, should we make an effort to conserve them given the impending extinction extent on Isla Nublar, as we would any other endangered species? Or should we accept our actions as an aberration of nature, and therefore let nature take its own course henceforth? That conundrum forms a running theme throughout the film, underlining the difficult choices that our heroes are faced with and bookending the brief but effective appearance of a bearded and greying Dr Ian Malcolm (Jeff Goldblum doing his signature staccato brainaic thing for the series). Nevertheless, the ‘Jurassic Park’ movies have always been about taut human-versus-dino showdowns, and ‘Jurassic World: Fallen Kingdom’ has plenty of that to spare. Like we said, this is a masterclass in tension, suspense and dread, punctuated by moments of campy humour by Owen and Franklin and enlivened by the hearty chemistry between Owen and Claire. Just as significantly, this chapter finally takes the thrill out of the theme park, switching up the usual scenery and setting up a brave new world for the trilogy’s final chapter. 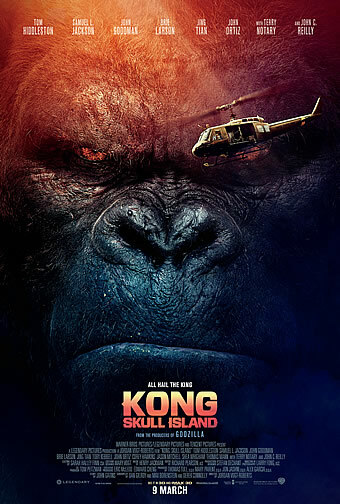 Sure, it doesn’t have the same nostalgia as its predecessor did coming some twenty years after the last movie, but this one is actually even better, even more thrilling, thought-provoking and tense. It’s right on top with the first as the best of the series.